Unfortunately our planned event for April’s Cafe Scientifique has not been able to go ahead. This means we have an open slot for April and we’re looking for a speaker who could step in for us – if you think you’d be interested please drop me an email for further information. This is a great opportunity to speak at Cafe Scientifique as our next available slot to give a talk is quite a few months down the line. 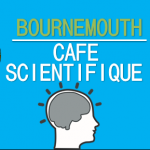 In case you’re not familiar with Cafe Scientifique, it’s a place where, for the price of a cup of coffee or a glass of wine, anyone can come to explore the latest ideas in science and technology. Speakers give a short presentation around a topic (roughly 30 minutes), before engaging in debate and discussion with the audience to really explore the issues. It takes place at Cafe Boscanova in Boscombe on the first Tuesday of every month from 7:30-9pm and we usually have around 20-30 people in attendance. 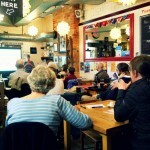 Previous talks and more information about Cafe Sci can be found on our website.